I’m Tess and I have a baking problem. I can’t help but want to bake a treat for people that come and visit me. Take tomorrow for example…I have a lovely lady coming to visit me from What’s On magazine about a wedding fayre I’m going to take part in at the end of the year at Herstmonceux castle (oh yes, I’m very excited!!). 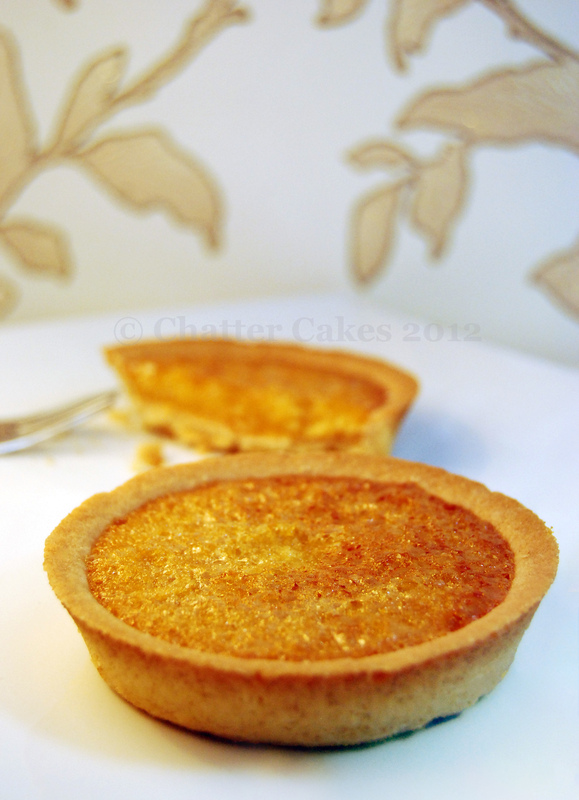 Anyway, after much deliberation, I settled on the idea of a treacle tart! I haven’t made them before, and thought it was a light, sweet treat…perfect. This recipe involves partly blind baking the tart, and then baking until the filling is gently set. I’m pretty pleased with my first attempt! The smell was lovely while it was cooking. Not only did I make these tarts, but I also made a non-cooked chocolate tart – a kind of mixture between a cheesecake and a tart =] yum! Comments are welcome – bring on the Chatter! I made a Victoria sponge today for a funeral for a lovely lady in our church. Tomorrow I am planning to make flapjack for me and banana loaf at my daughters request. Yummy!